Some £23.5bn will be raised by councils next year, as businesses seek a radical revamp of the rates system. George Osborne hailed the start of his 'devolution revolution' at the Conservative Party conference in October, claiming the Conservatives were 'the only true party of labour'. The centrepiece of his speech was the announcement that local councils would be given control over how business rates were set. It was dressed up as a sparkling overhaul to the system, but in reality won't do much to help the nation's firms and their long-term gripe with the rates arrangement. Council submissions to the Department for Communities and Local Government have just shown that councils across England could raise £23.5bn from business rates next year, up £400m from this year's total. Some 90% of councils are expected to see an increase in rates income next year. And that's unlikely to go down well with the UK's businesses. The devolution of business rates won't necessarily result in them being reduced after all, and many firms feel frustrated that the government hasn’t provided the necessary radical overhaul of what’s viewed as an outdated, ineffective system. Councils will have the power to abolish the uniform business rate – so could cut rates to stimulate growth in their area. But it could also just serve to widen the gap between less prosperous areas and their wealthier counterparts. In the CBI's recent submission to the Treasury ahead of the March 16 Budget, it called for small firms to be taken out of paying business rates entirely. It predicted that the current set-up will cost businesses around £29bn over the course of this parliament, which will be a big hindrance to growth. In the last 12 years, the business rates tax burden has increased by 84% - ‘a rate that comfortably outpaced the increase in the overall tax burden over the same timeframe at 53%’, according to the CBI. Failing to effectively change the creaking rates system, while unveiling policies like the apprenticeship levy and National Living Wage, will hamper companies' efforts to grow. 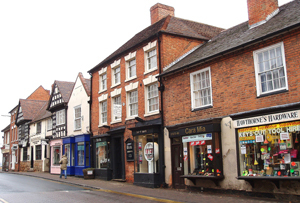 Businesses have repeatedly stressed the need to tackle the current structure of business rates. The government would do well to listen.